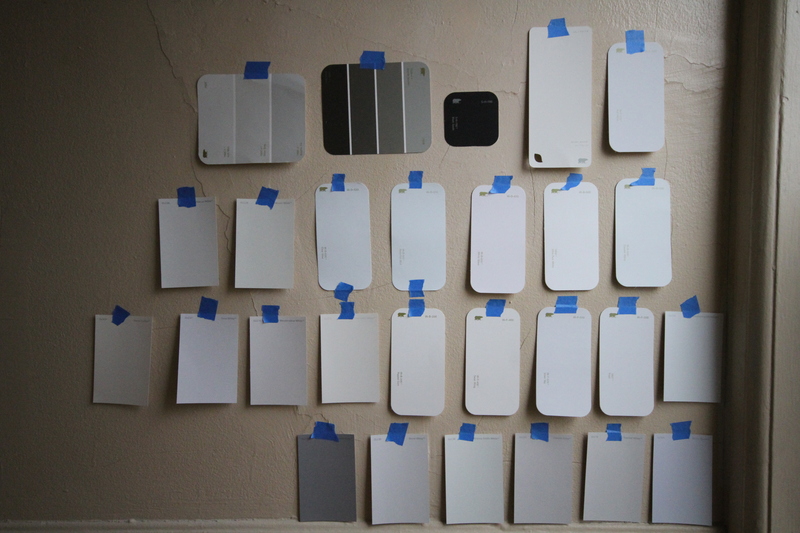 I’ve been a tad obsessed with the color gray… the actual color – get your mind out of the gutter. We shall not discuss how I ran into Barnes & Noble last week in dire need of a bathroom, only to find an absurdly long line thanks to the massive crows that were there for the 50 Shades of Gray lady. No we shall not mention that at all. This wall has since been repaired and painted (white), yet not even crappy books can shake my love of gray. I suppose it could be worse… it could be pink!